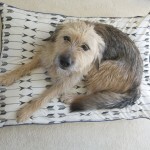 One of the questions we are frequently asked here at RHW is where the curtain in Opal’s room came from. 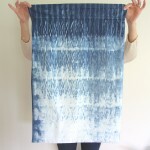 Today we thought we would share what the textile is, and also give the inside scoop on where to look for one of your own! 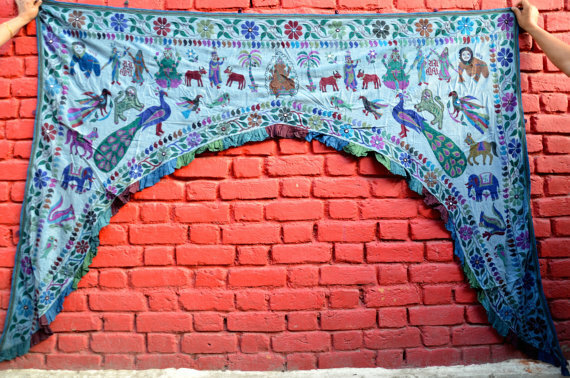 The textile is called a toran. The word is from Sanskrit, and means a sacred gateway. 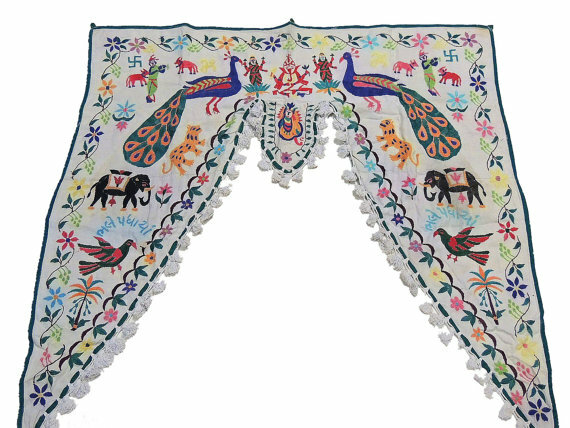 Decorative torans range in size from quite large – ones made to span wide entryways – to smaller torans designed to adorn a narrow door or window. At over 70 inches, Opal’s toran is on the larger side. Torans are versatile pieces – they work well as a way to add color to achromatic rooms, but are also at home in bright, eclectic spaces. 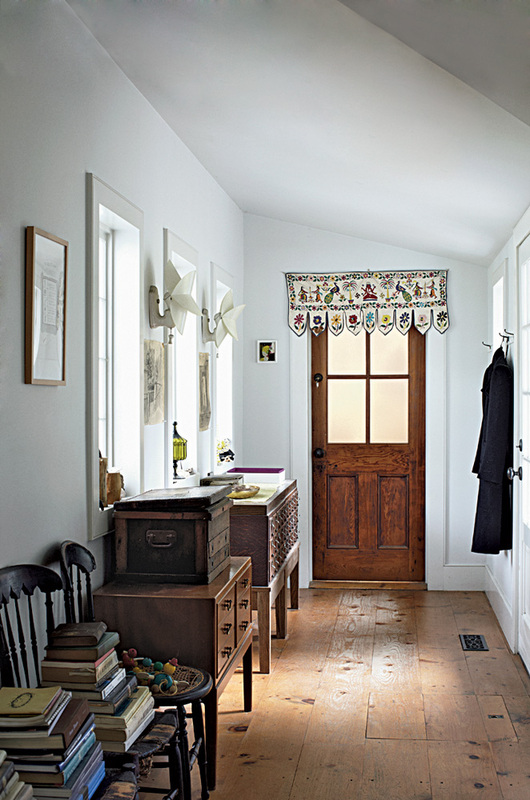 This room is restrained and antique-y, and the toran adds just a hint of playfulness. 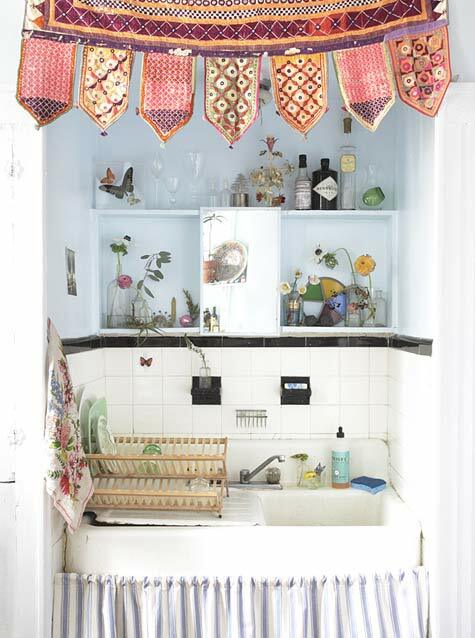 The pinks and maroons of this toran make this wee kitchen space particularly inviting, even if it is just to practice the sacred art of washing dishes. 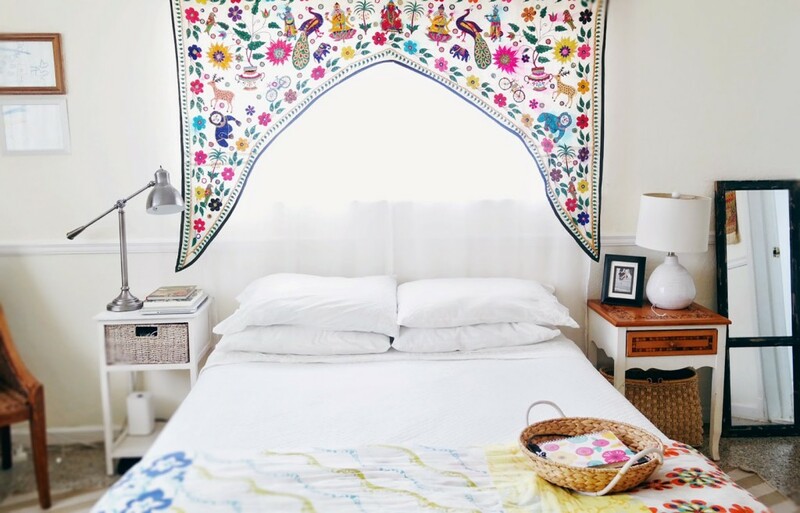 The colorful toran hung over the bed makes this simple room a gateway to beautiful dreams. 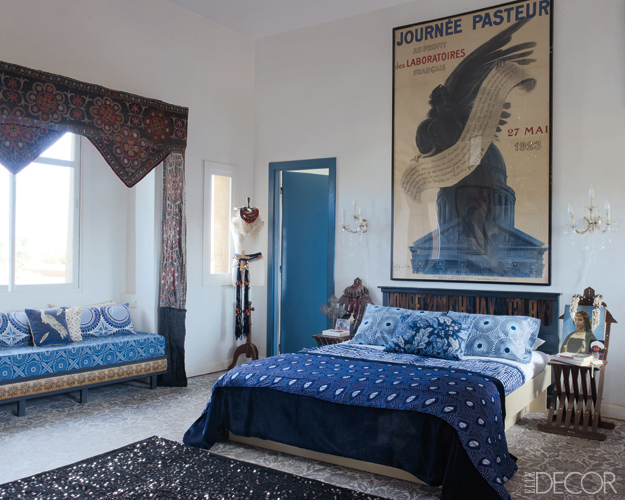 The deep burgundies of the toran framing this window seat work beautifully with all the indigo textiles in this lovely room. 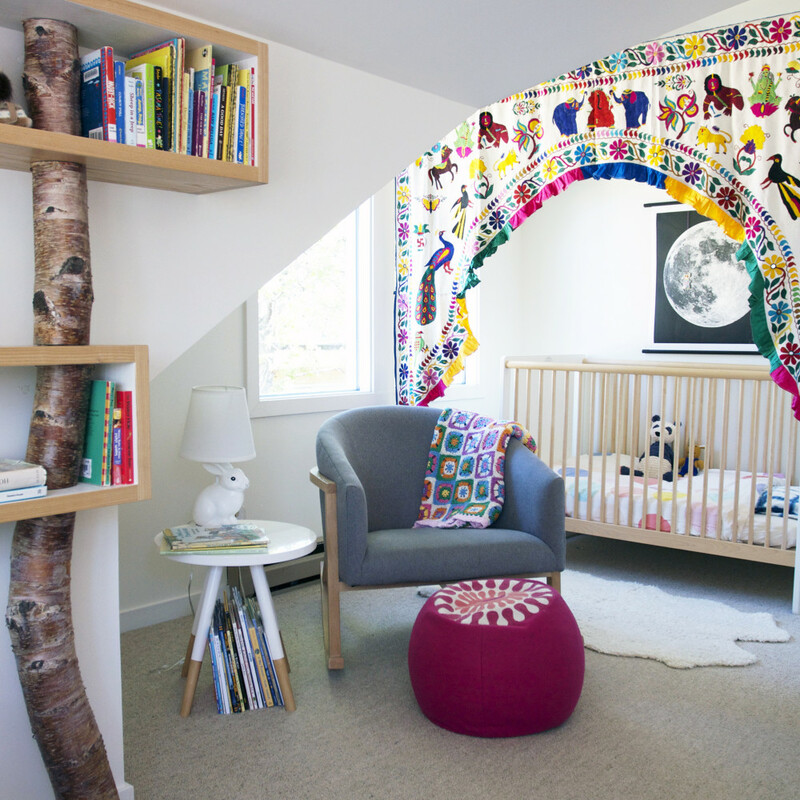 We love the way this toran spans the work area (a gateway to writing and reading of other worlds!) 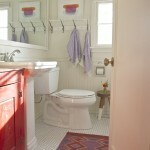 in this eclectic space. 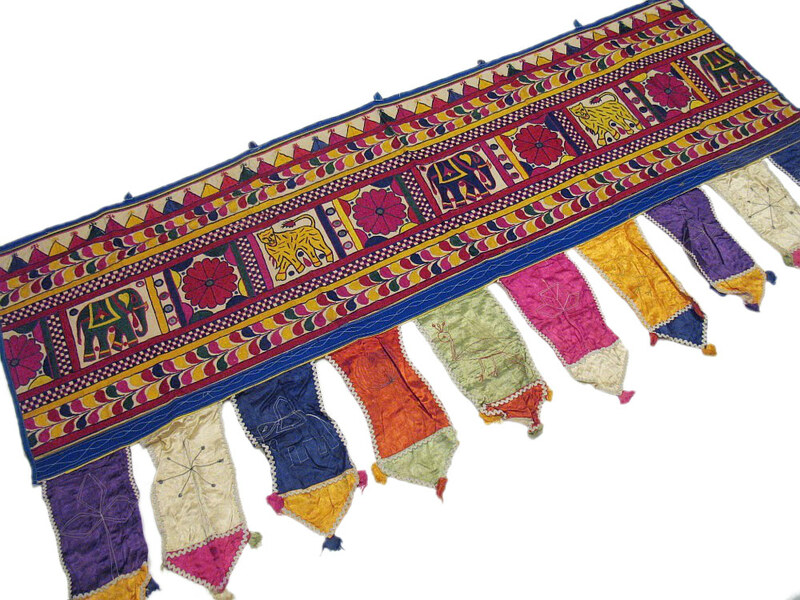 Would you hang a toran in your home, or are they too over the top for you? We love to hear your thoughts! 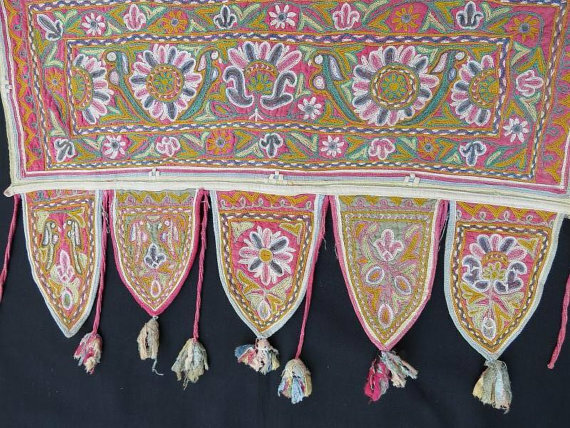 The embroidery is just fantastic; plus it is interesting to see the relationship between Indian and Mexican embroidery, which is equally luxurious and colorful. Thanks for identifying this object and giving it a name. In all my travels across south-southeast Asia, I don’t think I came across any torans in person, although I wasn’t specifically looking for one either…I definitely brought many beautiful embroidered textiles home, but wish I had brought home one of these! 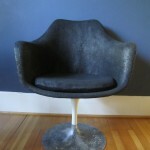 Would fit right in to my eclectic decor. 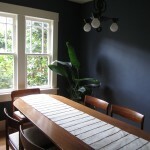 The one in Opal’s room is perfect in the space. 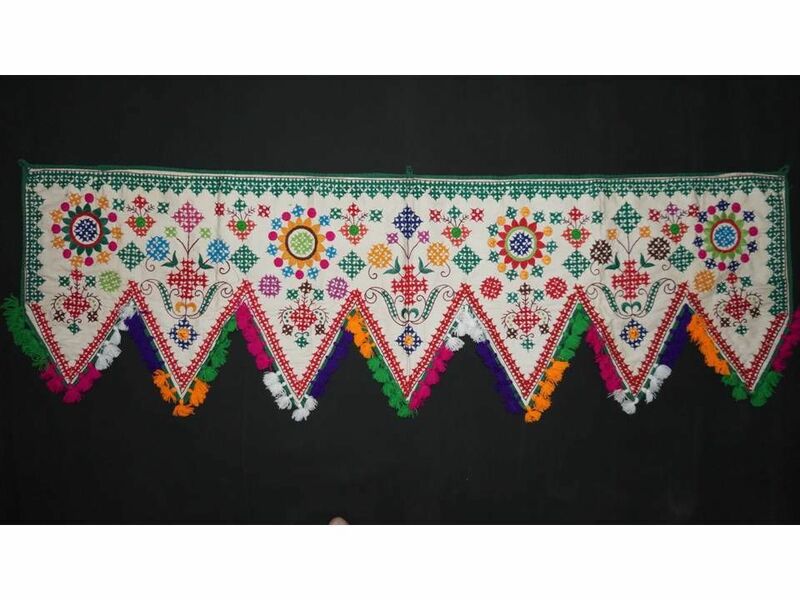 I think the toran look fantastic in each of the examples you provide. I would definitely have one in my house. 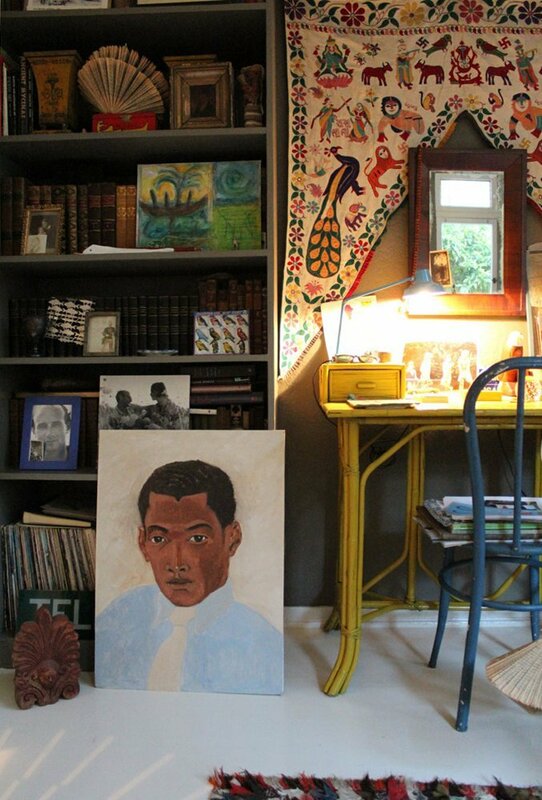 I keep my walls and major pieces of furniture self-coloured / monchromatic precisely so that I can introduce richer pattern and detail in smaller, decorative items. I would have to think where in my house one would work since it essentially frames an area but I would totally put one up if I identified such a spot. I didn’t know it was called but I want one! 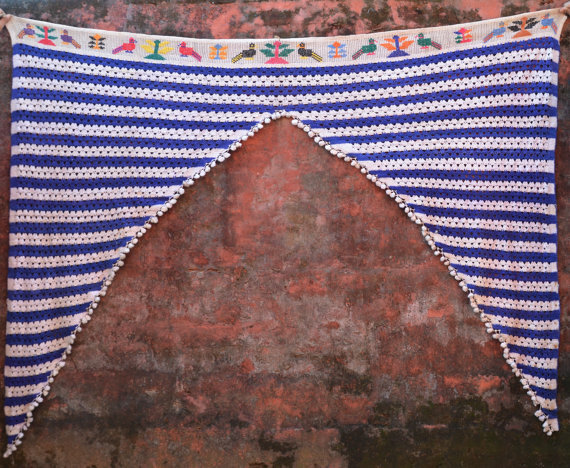 Actually I would probably get a pair of the smaller ones to act as valances. 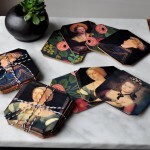 Design*Sponge Essay Contest–Voting is Now Open!